I’ve been a Toronto Rock fan for about eighteen years. From a personal point of view, I always want them to win. But I’m also realistic, and I recognize that they’re not always going to win. 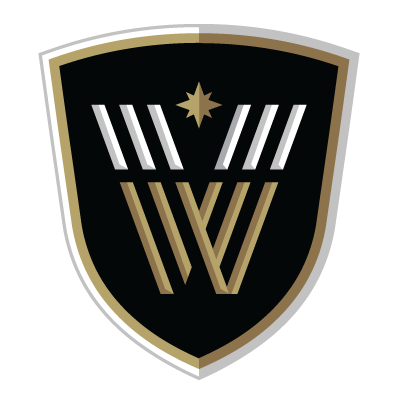 Last week, they faced the Philadelphia Wings, who were sitting at 3-10 and tied for last in the league, and they scratched and clawed and managed to come out with a one-goal win. This week, the Rock faced the 12-4 powerhouse first-place-overall Buffalo Bandits so I was hoping for a win but honestly, I wasn’t expecting one. I was expecting an exciting game, and there I certainly wasn’t disappointed. Just like yesterday’s West division preview, today we’ll cover the East: where I think they will end up in the standings, who might have a breakout year, and a haiku for each team. Coupla changes in Buffalo. The Alex Buque experiment didn’t work out so well last year, but I think they’ve solved that problem. Reigning Goaltender of the Year Matt Vinc was brought in from Rochester to shore up the goaltending. I don’t think Vinc was thrilled with the prospect of the team moving to Halifax next year, and Buffalo is closer to his home in St. Catharine’s, so he’s happy. But Steve Dietrich also brought in Corey Small, Bryce Sweeting, Ethan O’Connor, and Jon Harnett. Add a couple of defensive/transition studs in Ian MacKay and Matt Gilray (two of the top four draft picks) and the changes to the Bandits roster are impressive. They had a pretty potent lineup last year but needed goaltending and defensive help. They’ve addressed those shortcomings and improved their offense, which makes them my top pick for the East. Shawn Evans didn’t have a great year in 2018 by his standards. 83 points certainly ain’t bad, but after five straight 100+ point seasons, it’s a bit of a drop. I think he’ll want to prove that he’s still got it. The Swarm lost Kiel Matisz, Jordan Hall, and Jesse King over the summer. So who’s going to score their goals? Well, let’s not panic just yet. They still have Lyle Thompson, Miles Thompson, Shayne Jackson, Randy Staats, and Holden Cattoni, so I think they should still be OK in the offense department. The transition lost vets Ethan O’Connor and Joel White and replaced them with rookies, so that’s a possible concern. Everyone focuses on the Swarm’s offense so their defense gets kind of ignored. They don’t have the big names like Saskatchewan but I think the Swarm D as a whole is underrated. Randy Staats’s points-per-game average dropped to 4.3 last year, a full point below his rookie season and a point and a half below 2017. With fewer bodies to share the ball, I see his numbers going back up from the “very good” range to the “elite” range. For a team that had Kevin Crowley (who scored 51 goals), Stephan Leblanc, Kyle Buchanan, and half a season each of Johnny Powless, Shawn Evans and Callum Crawford, it’s surprising that other than the Stealth, nobody scored fewer goals than the Black Wolves in 2018. In 2019 they’ll have a full season of Crawford and while they lost Buchanan, they’ve gained Tyler Digby who will likely be getting more floor time than he got with Calgary. That’s some pretty decent firepower up front but I’m not sure it’ll be enough. They’ll have to get increased production from a guy like Reilly O’Connor and either acquire some more offense or hope for productive rookies. This is assuming that Kevin Crowley re-signs. If he doesn’t, they’re in a bit of trouble. Goaltending is also a question as the Black Wolves are trying the Alex Buque experiment, Part II. As I said above, Part I in Buffalo last season wasn’t exactly a rousing success. Tyler Digby had a great sophomore season in Vancouver and two good seasons in Calgary before his numbers fell off a cliff last season. He’ll likely get more playing time in New England and I see his numbers climbing back into the 50s. There are a couple of question marks for the Wings. Matisz, Hall, and Hickey make a pretty good top three, I’ve only heard good things about Chris Cloutier and Matt Rambo, and guys like Vaughn Harris, Blaze Riorden, and Josh Currier give them some pretty good secondary scoring. Will it be enough? Maybe. Defense looks pretty good, with a number of proven NLL defenders like Zach Reid, Liam Byrnes, Liam Patten, and Frank Brown. No superstar defensive studs (though a lot of people are big on Brown) but a decent core. Goaltending is a question since Davide DiRuscio has shown flashes of being a solid #1 stopper but has been inconsistent, and he also missed all of last season with an injury. The only other goalie on the Wings roster is Doug Buchan, who has zero NLL minutes. Brett Hickey’s last four seasons were 81, 28, 79, and 40 points, which means he’s due for another 80-ish point season. I don’t know if he’ll get there, but he’ll have more than 40. The Knighthawks made the NLL Finals just last year and didn’t make that many changes but I’m still picking them to finish 5th in the East this year. First off, their appearance in the finals was unexpected. They were the best team in the East down the stretch and beat who they had to beat in the playoffs to get to the finals, so it’s not as if they didn’t deserve it, but I’d say very few were calling the Knighthawks to come out of the East. 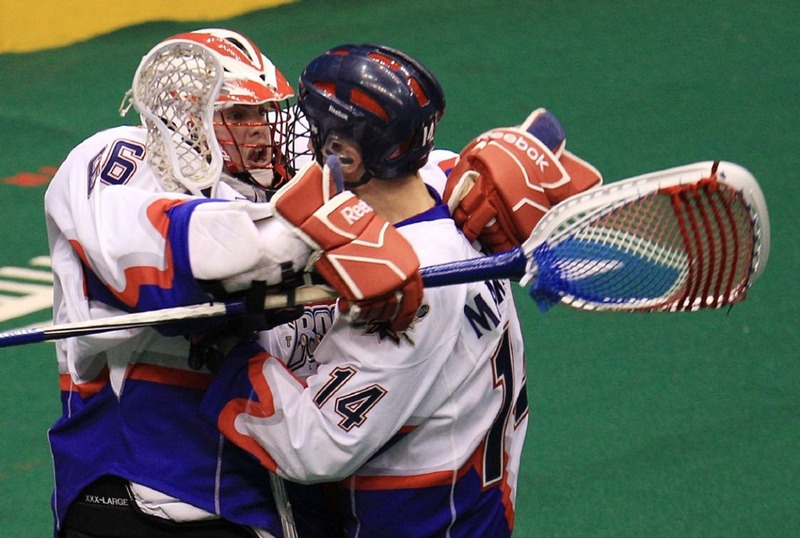 Secondly and more importantly, they lost Matt Vinc, one of the best NLL goalies ever and a no-doubt Hall of Famer. The Knighthawks are now pinning their hopes on Vinc’s backup Angus Goodleaf, who’s been an excellent backup to Vinc for years. But Goodleaf has only hit 200 minutes in a season once in his career; Vinc has recorded 900 minutes nine times in the last ten years (and recorded 890 in the tenth year). The Knighthawks also lost Sid Smith to retirement injury (I heard that he retired but he’s starting the season on the IR) and lost Josh Currier and Frank Brown (who only played three games) to the Wings in the expansion draft, but that’s it. Their offense was very good last year thanks in part to rookies Austin Shanks and Eric Fannell. Can they repeat their success? Is the Joe Resetarits of 2018 the real thing or was that a fluky season? (I suspect it’s the former.) The defense and transition are anchored by Defensive Player of the Year Graeme Hossack and Rookie of the Year Jake Withers, so they should be fine but the goaltending is my concern. Pat Saunders is, I’m sure, happy to be back in the east. Not sure he’ll get back to the 44 goals he had in 2016 but 25-30 isn’t unlikely. Last year, the Rock without Tom Schreiber was a very different team than the Rock with Tom Schreiber. He’s back and healthy and looked great in the scrimmage against the Mammoth, but I imagine they’ll set up their offense so that they don’t seem so uncoordinated if he’s not there or has an off night. Adam Jones also looked good in the scrimmage as did Johnny Powless. Between those guys and Rob Hellyer, Phil Caputo, Dan Craig, and Dan Lintner, I’m really looking forward to watching the Rock offense. The transition will be great as well, even without Brodie Merrill. Challen Rogers, Damon Edwards, Sheldon Burns, and Latrell Harris make up a pretty potent squad and I’m curious if Jesse Gamble will return. He took last year off for work reasons and I assumed he’d be back this year but I’ve heard nothing about him at all. As for goaltending, I have no concerns about Nick Rose but Riley Hutchcraft has played all of 15 minutes in his career. Dan Lintner was a healthy scratch in a number of games last season. I posted a few times that I felt bad for him and even suggested the Rock should trade him so he’d actually get to play somewhere. I don’t think he’ll be sitting as much this year and his patience will have paid off. We all know that the NLL is expanding this coming season, with the Philadelphia Wings and San Diego Seals beginning play in a few months. Commissioner Nick Sakiewicz has said that these two were the first in a number of expansion teams planned for the next few years, and the next of these was named on Thursday, sort of. The NLL has seen its share of strange relocation situations, and here’s one more. We kind of have two new teams and one relocating team, but the total number of teams in the league only went up by one. In two separate announcements separated by about four hours, the league announced that (I’ll need to word this carefully) current Rochester Knighthawks owner Curt Styres will be the owner of a new NLL franchise in Halifax. In addition, Terry and Kim Pegula, owners of the Buffalo Bandits, will be the owners of an expansion franchise in Rochester which will be called the Knighthawks and retain the history of the brand. Both teams will begin play in the 2019-2020 season. The current Knighthawks will continue to be owned and operated by Styres during the upcoming 2018-2019 season. The simplest way to look at it is that Styres sold the Knighthawks to the Pegulas and is buying an expansion franchise in Halifax. But there’s one sentence in the Halifax press release that makes the situation more complicated than that: “The Halifax franchise will begin play during the 2019-20 season at Scotiabank Centre, with many of the players on the current Knighthawks’ roster.” What? Usually when you buy a sports franchise, you get the team name and brand as well as its employees and players. In this case, the Pegulas are buying a franchise and getting everything but the players. Meanwhile Styres is buying a new franchise but bringing his players with him. On the other hand (and coast), the Vancouver team was sold this summer and the players are the only thing the new owners are keeping. The Knighthawks will be an expansion franchise and will have five Championships. Meanwhile the brand new Halifax team will be a team full of players who have been playing together for many years. This league is weird. I said on an Addicted to Lacrosse episode last season that I didn’t like the idea of multiple ownership because of the possibility of trades and deals that make one team better at the expense of the other – trades that would never happen if the teams were owned by different people. 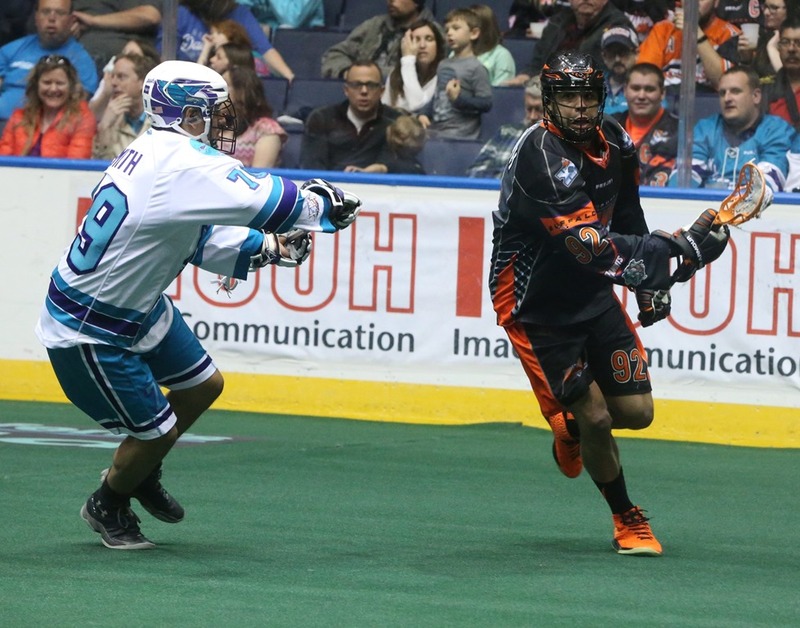 I gave the possibility of the Bandits, doing well at the box office, trading an exciting player like Dhane Smith to the Knighthawks, who are struggling a little more at the gate, for very little return. This could increase Rochester’s attendance more than it would decrease Buffalo’s, thus increasing the overall revenue for the two clubs. This is unfair to the Bandits but if the overall picture is better, a single owner might not care. Two separate owners would. I’ve kind of changed my mind on that, because the league approves all trades, and so it has sufficient oversight that such an obvious move would likely not be allowed. But now we have a similar situation: an owner making deals for a team that will be his own competition a year from now. Is Styres taking Rochester’s future draft picks with him? If during the upcoming season he trades a player away for a draft pick, does he take that pick with him to Halifax, or is he leaving it for the Pegulas? More importantly, if he trades a future draft pick away for a player, whose pick is that? In a normal world, Styres might trade the Knighthawks’ first round picks in 2020 and 2021 for, say, Corey Small. A bit expensive but not outrageous. But Styres won’t be the GM of Rochester in 2020 or 2021, and he’ll likely take Small with him to Halifax, so the Knighthawks give up two first round picks for a one season rental of Corey Small. That’s a little steep. Styres doesn’t take control of the Halifax team until after the 2019 season ends, so would Styres – while still GM of the Knighthawks – be allowed to trade Halifax’s first round picks for Small? In that case, the Knighthawks get a full season of Corey Small for nothing, which they are probably OK with. But that would mean that Styres has two sets of draft picks to play with for a year*. Does that seem right to you? The league will have to watch any deals that Styres makes this season very carefully – not because he will make deals that are unfair (he seems to me to be a man of integrity), but the league needs to make sure that none of these deals even appears to be unfair. * Update: I’m incorrect here. As Steve Bermel points out, any draft picks acquired or traded away by Styres move with the team to Halifax. If Styres trades away Rochester’s picks in 2020 and 2021, those move with the team so Halifax will not have picks those years while the new Rochester franchise will. If I had to hire a GM to build me a winning NLL team from scratch, the only person I’d put ahead of Curt Styres is Derek Keenan. But perhaps Styres isn’t interested in starting over and (warning: total speculation ahead) told the league that the Halifax deal was contingent on him being able to take the roster with him. The league wants the Halifax team but doesn’t want to lose a great owner and lacrosse mind like Styres, so they allowed it. The Pegulas are famously indifferent to the comings and goings of the Bandits, so I doubt they cared. The Halifax team is rumoured to be known as the Privateers (a trademark has been registered by the NLL). Privateers were basically pirates under another name, which makes sense since Curt Styres is stealing the Knighthawks roster and taking it with him. Another way to look at it is that Styres is taking his team to Halifax, but the Pegulas are stealing the Knighthawks name from him. What’s another name for people who steal stuff? Bandits.